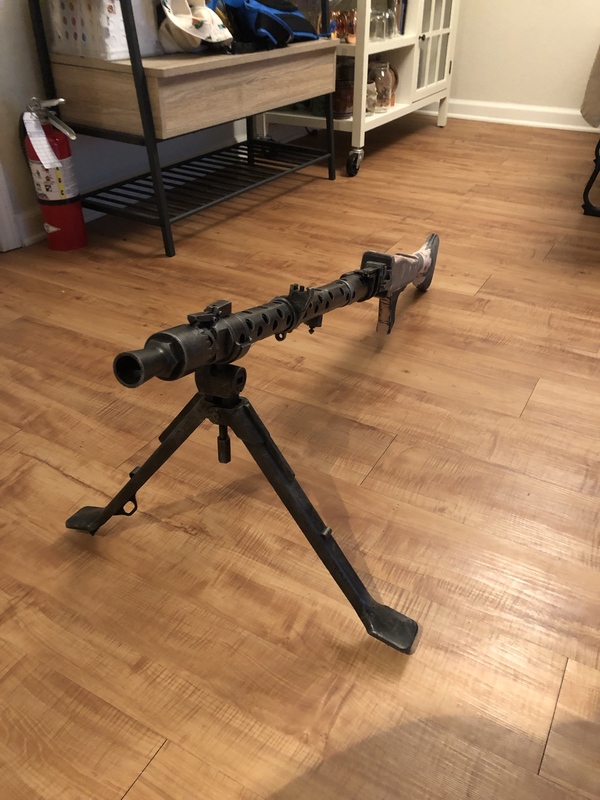 Finally moving forward with the last thing holding me back from pursuing SWAT, my DTL19 Bapty! 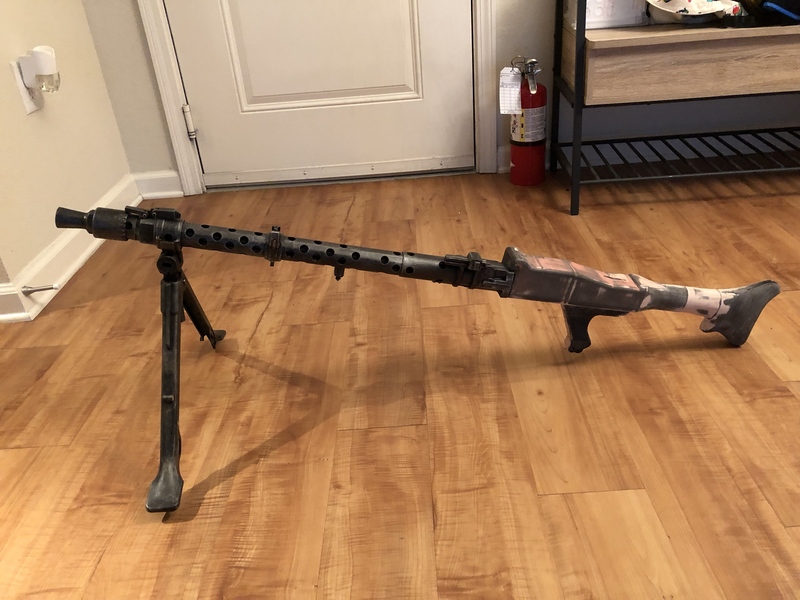 I live in an apartment and I don't really have a place I could cut and grind a buttstock out of wood, so I figured I would try to model it. I am not that experienced in modeling but I tried my best! One day I do want to make one out of wood, but I am loving how lightweight this is. It is just about 2lbs for the whole blaster, so super convenient for long troops and parades. Its not perfect, but with some TLC with filler primer and Bondo I think I can get this into shape. Its a WIP, I will for sure update along the way! Dude you are AWESOME for sharing the file. Thanks so much! You did a killer job too! Looking forward to seeing how it turns out. Great idea!! Filling and sanding. Rise and repeat. I might leave some of the divots and print pattern in the back to simulate wood a little bit. I’ll see how it looks after the first coat of primer. 3d seems like more work than wood at times! Lol... looking good brother. 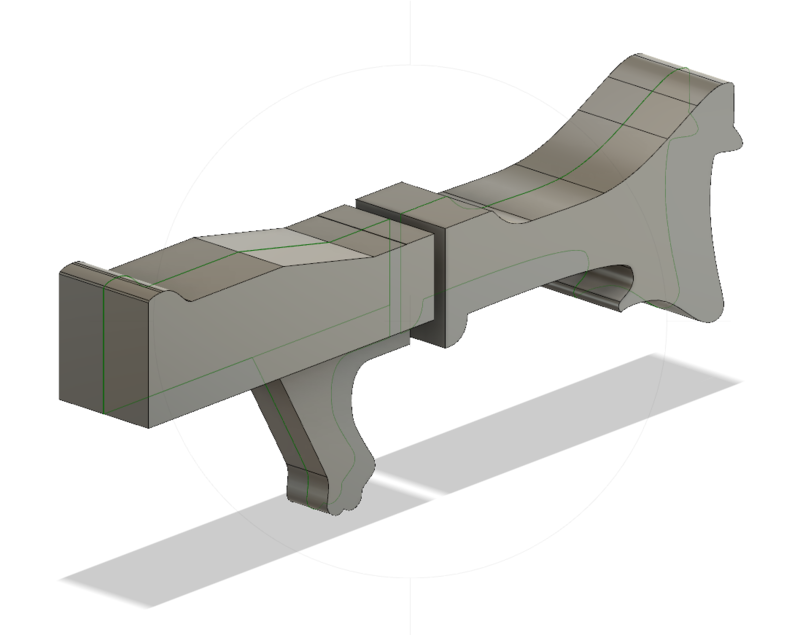 Will you be adding a screw to make a removable charging handle? Haha very true. Lots more work than just hitting print thats for sure. The changing handle is a friction fit 5/8" dowel rod. 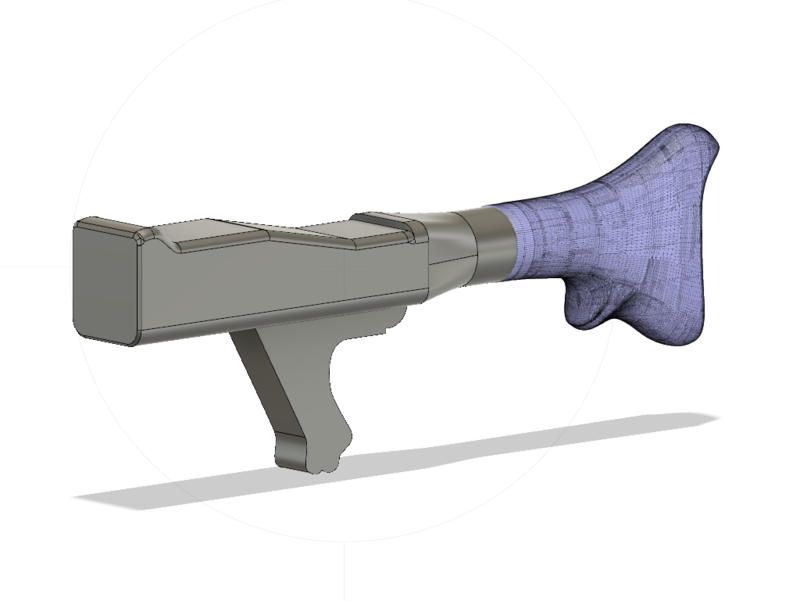 I am printing the rest of the blaster hardware right now, my goal is to have this be removable and swappable with a standard DLT19 receiver eventually. Then I can switch back and forth when I want! 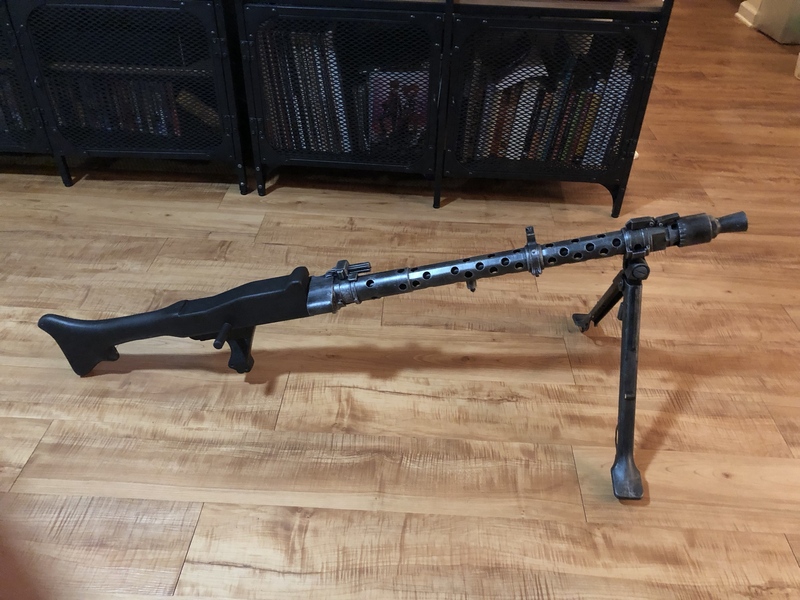 More updates, barrel is complete, also got the bipod to be functional. In order to prevent the bipod from falling accidentally while trooping I installed some strong magnets to hold it up. 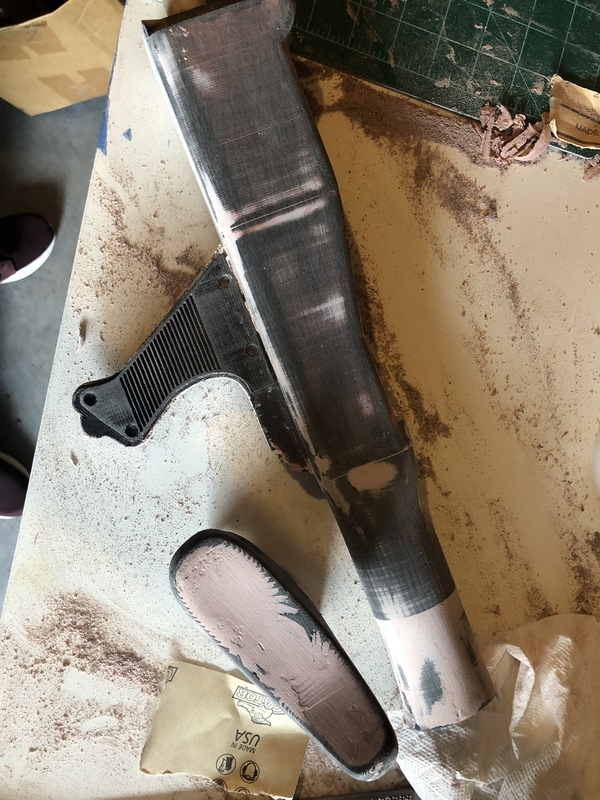 Just need to wrap up the last round of sanding then add some primer to the stock and get painting. 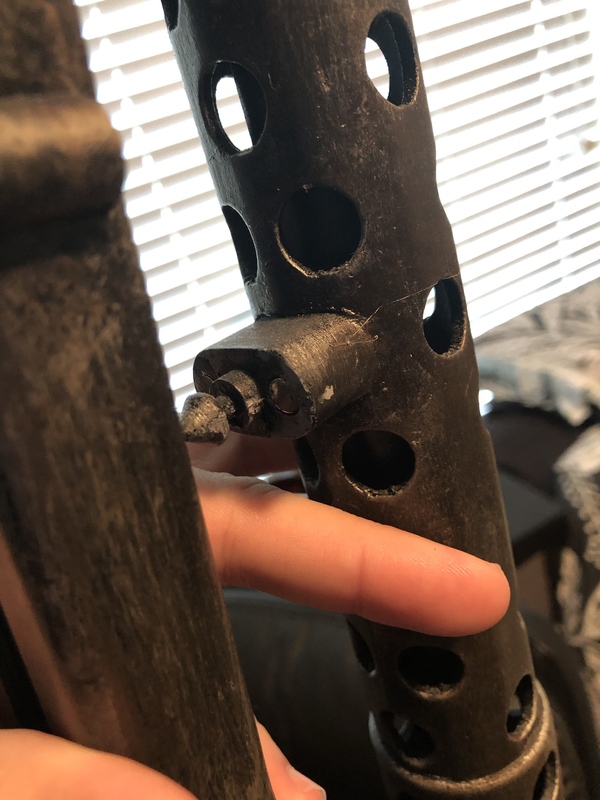 Just printed the retention screws for the bipod hub and I have my t-tracks, I just need to cut them to size. Geez, that is cool! I’m not that much for 3D printed stuff but that’s clearly gorgeous work! Well done, John, well done! Looks great! 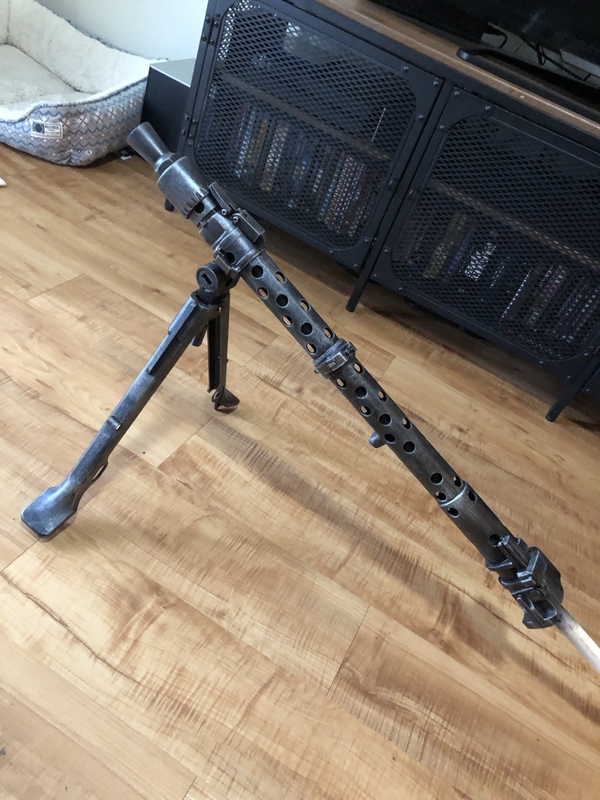 Are barrel and bipod already painted? Thanks! I swear I spend more time working on 3D printed project than regular kits, resin or wood props I have built. So much work to get it to look right. Almost there! Just a few more parts to add, then T-tracks and I'm calling it done.